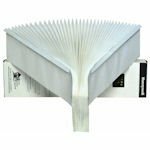 The General Aire C5-0615 Intake Grill is a replacement intake grill that is attached to the external cover on GeneralAir SSCB15-X air cleaner systems. 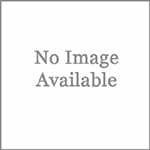 Also known as part 4707 or EACCM13�05. The GeneralAir H9-0219 Black, 3-Position Switch is a replacement part attached to the power control board & transformer assembly on General Aire SSCB7-X and SSCB15-X Electronic Air Cleaner systems. 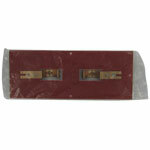 GeneralAire C5-0526 Fiberboard is an internal part attached to the power control board and transformer assembly on GeneralAir SSCB15-X and SSCB7-X Air Cleaner systems. 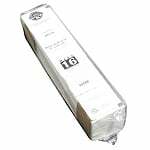 The General Aire F1016 MERV 11 Filter Media Cartridge is the replacement part for the General Air TERSus2000 System. 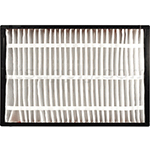 This GeneralAir Filter reduces airborne particles as small as 0.3 micron in order to improve indoor air quality dramatically. 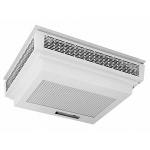 The GeneralAire DC4E is the correct replacement for the following ventilators: GeneralAire Heat Recovery Ventilators and GeneralAire Energy Recovery Ventilators. 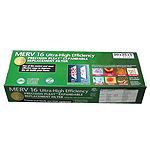 The Lennox X8344 MERV 16 Filter Upgrade Kit is an upgrade kit for the Lennox PCO-20C Healthy Climate PureAir Air Purification System. 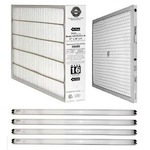 This Lennox PureAir filter kit includes one MERV 16 filter, also known by part number X6669, and six UV bulbs. 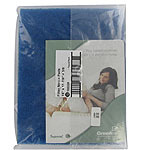 This Lennox Expandable Filter is a genuine Lennox part. 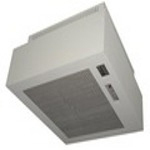 The Lennox Healthy Climate Filter is a viable replacement for several Air Cleaner Models. 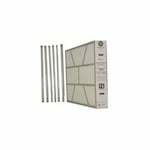 The Lennox X8305 MERV 10 Expandable Filter Kit is a filter kit that includes a replacement expandable furnace filter and a replacement inner housing reusable filter frame. 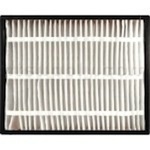 This expandable filter measures approximately 20x20x5. 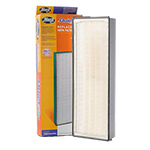 The Honeywell FC2400A1005 is a compatible AC filter for the Aprilaire and Space Gard 2400 (filter model 401) and is also used in Research Products cabinet models 2200, 2250 and 2400. This filter boasts a MERV 10 rating. 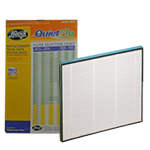 The Hunter 30936 QuietFlo HEPA Purifier Filter is an electrostatically-charged filter that captures 99.9% of particles as small as 0.3 microns. 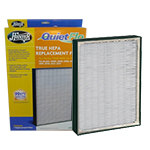 The Hunter 30938 QuietFlo HEPA Purifier Filter is an electrostatically-charged filter that captures 99.9% of particles as small as 0.3 microns. 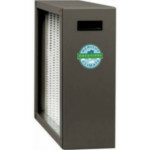 The Hunter 30960 QuietFlo HEPA Purifier Filter is an electrostatically-charged filter that captures 99.9% of particles as small as 0.3 microns.